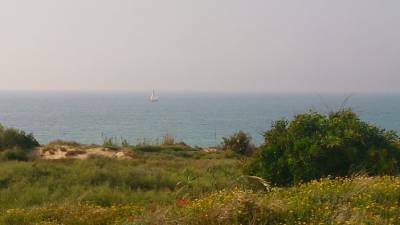 Vacation Rentals in Ashkelon, Israel . The resort town in south of Israel - Ashkelon - is one of the oldest cities in the world. Thanks to its warm Mediterranean climate and location on the coast, the city attracts tourists for all year. The proximity of the Negev Ashqelon provides a soft warm winter, where the sea temperature never drops below 18 C degrees. Occasional rain can be experienced between the months of December and March. 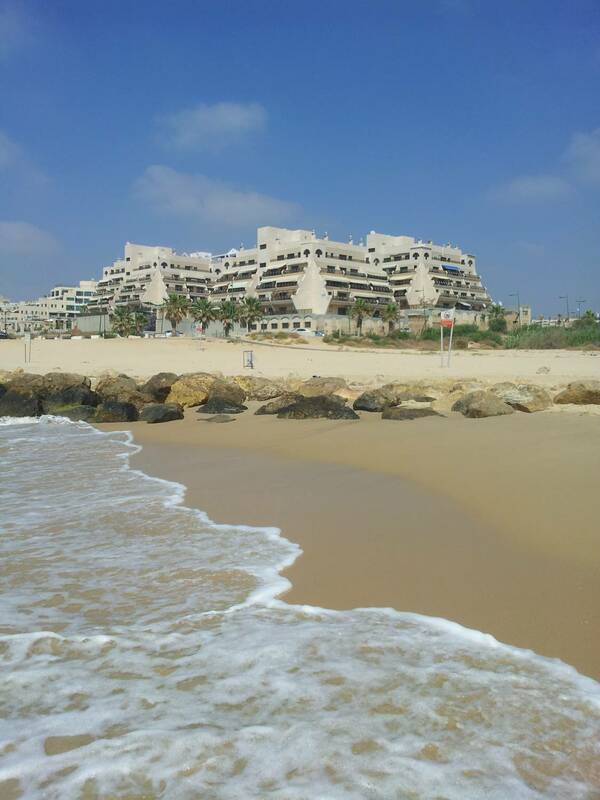 Beautiful sandy beaches, the largest in Israel national archeological park, developed infrastructure and convenient urban transport, and the relative proximity to Tel Aviv (55km) and Jerusalem (70 km) make the city of Ashkelon attractive for tourists. Whether you are visiting Israel for a vacation, to visit friends and family, for work, or maybe just looking for a comfortable place to stay - we can help you. We provide a short-term vacation rental opportunity (daily, weekly, monthly) for tourists and guests to reside in our 2-bedroom apartments and 3-bedroom apartment in "Ganey Marina","Royal" and "Yafe Nof 23". 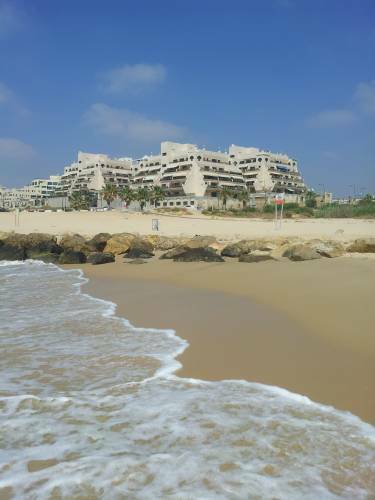 Specially built in 2000 for comfortable living and relaxation by the sea in Ashkelon. The holiday rental apartments are located within 2-minutes walking distance of the beach. The benefits of renting an apartment instead of staying in hotel are obvious: the 2 bedroom apartments are better value for money that that of staying in a standard hotel room. "Laguna" apartment are fully equipped with a kitchen, have free internet access and offer a home-like atmosphere with the expected levels of privacy and comfort. In the apartment complex "Ganey Marina" a swimming pool, sauna, Jacuzzi, gym, private parking are also available with a good location close to the sea. If you are looking for low cost options or youth hostels in Israel that are near the sea, then "Shanti" or "Castle" is a perfect solution for you. We offer inexpensive rooms in the guest house located near the beach. 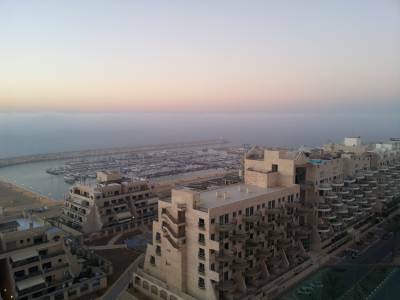 The 2-bedroom apartment "Paradise" will please you with nice views from the window and with the lovely sea breeze. This comfortable apartment includes everything you will need for a pleasant stay. Apartments for short-term rent are fully equipped for a perfect vacation, leisure and business trips. The apartment (Ashkelon) is equipped with a kitchen, large sunny balcony, TV and high speed wireless Internet access. All apartments are equipped with air conditioning and a water heater. The apartment can accommodate up to 6 people, if necessary you can also establish a cot. We can also help you with choosing and booking guided tours in English for sightseeing trips in Israel. We can also offer our tenants an inexpensive transfer from the airport to the apartments. We can also help you with car rentals. We provide a GPS navigator with the latest map of Israel in the rent for a small price. We can also provide a laptop computer in the lease, if required. The private secure underground parking is also available for our guests. The apartment located in the tourist center of Ashkelon is within one minute walking distance from the many restaurants, bars and eating establishments that cater for every taste and budget. Food stores are open around the clock. The yacht club is two minutes away and it is possible to take boat trips for up for 14 people from $ 10 per person. There are plenty of great cafes and bars near the water at the Marina. Two minutes by car is the archaeological and historical park, a summer water park, tennis courts, a concert hall, a large shopping mall with brand-name merchandise and a network of major supermarkets, for purchases at very attractive prices. The large fruit and vegetable market opens 3 times a week. The city of Ashqelon is located just 15 minutes drive from Ashdod, about 40 minutes from Tel-Aviv, 50 minutes from Jerusalem and 35 minutes from Beer-Sheva. It takes about 1.5 hours to get to Haifa, 1.5 hours to the Dead Sea, 3.5 hours to Eilat and about 2 hours to the Sea of Galilee, Tiberias. Twenty minutes from Ashkelon lies the highway Israeli Number 6, which allows you to reach northern Israel in 1 hour or to travel south of Ashqelon to the Negev desert, with many historical monuments along the way, such as the Nabatean incense, the huge canyon crater Mahtesh haGadol, Bedouin tents, and other interesting places. To rent an apartment for a short time in Israel is very simple! To choose a suitable apartment - read the description, check out the photos, and make sure we have free days in our calendar that suit you (minimum deposit is 2 days). For apartment reservations you will need to make a deposit payment of 15% by Western Union, PayPal, credit card or make the payment privately through a relative or friend in Israel. The days you have selected will be reserved for you. On arrival a signed agreement for the short-term renting of the apartment will be made including final payment of the rental balance. Short-term housing in Israel is a great alternative to overpriced hotel rooms. Vacation rentals in Ashkelon is ready for you all year round. We offer you guided tours in Israel. Renting apartments will save you money. Our prices are below market! Loyalty discount is 10% J. The cost of renting apartments depends on the number of people, season and length of stay. Price from $ 65 for two adults per night, children under 2 years stay for free. The cost for short-term rent includes all utilities, electricity, water, TV, internet access and entrance to the recreation complex (when renting for more than 2 weeks). Short-term rent in Israel is simple. Rent for a short term in Israel here ! We will be happy to acquaint you with our unique country and arrange an unforgettable vacation for you.